We work hard. We get stronger. We practice. We persist. We learn to do it on our own. 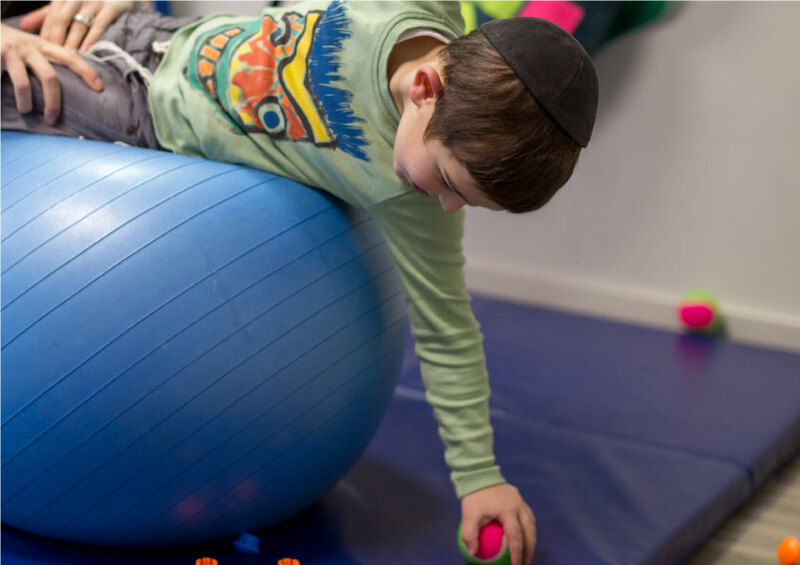 Our pediatric physical therapy team focuses on improving your child’s gross motor and play skills, mobility, strength and balance, so that your child can achieve age-appropriate milestones, and participate with peers in age-appropriate activities. We treat newborns to adolescents facing a range of challenges and conditions, including Torticollis, Autism Spectrum Disorders, Cerebral Palsy, Sensory Integration Disorders, Developmental Delay, and various other conditions. 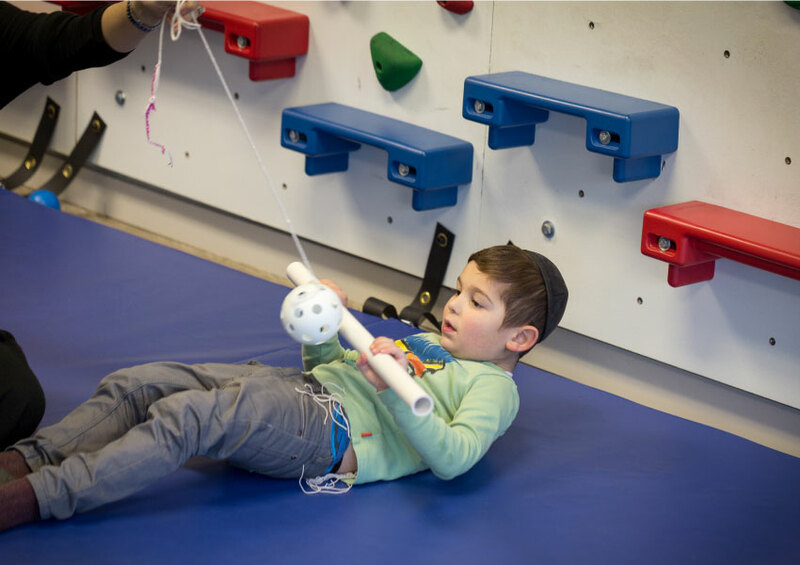 Our treatment methods include hands-on activities, handling, motor planning strategies and family education to provide carry-over activities. 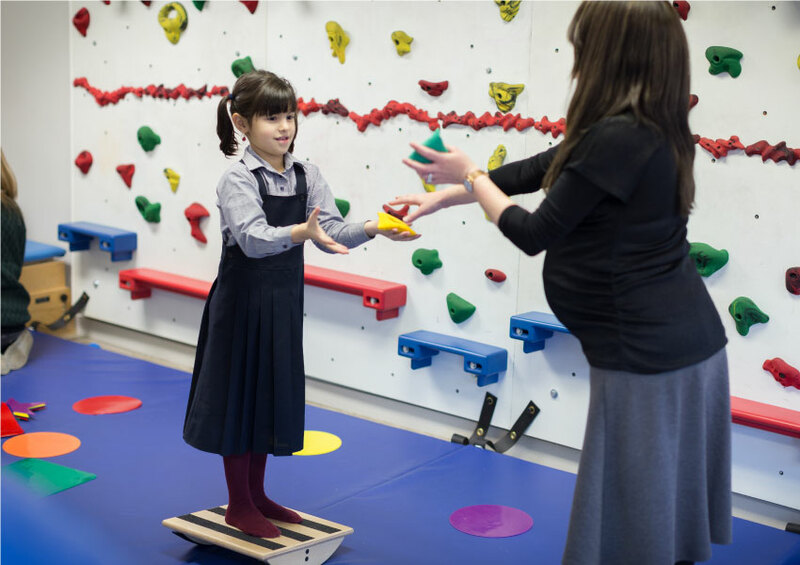 The need for services is determined by evaluating of your child’s performance of age-appropriate physical capabilities using standardized tests and clinical observation. Our PT team works collaboratively with our OT team and is overseen by Rena Lederer, PT, Clinical director to ensure the best outcomes for your child. Safe and independent negotiation of multiple types of surfaces such as stairs, carpets, ramps, and outdoor surfaces. Mobility progression from infancy through childhood. Performance of physical tasks appropriate for aged matched peers, i.e. running, jumping, hopping, skipping etc. Strength and flexibility through Pilates and Yoga techniques modified to meet the skill level and age of your child. Gross motor skills and balance for performance in extracurricular sports, gym and for neighborhood social play.